New Years is always a good time for a lengthy vacation. Why not trade white snow for sun, blue skies and warm water? 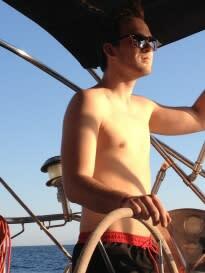 That's why we had students for a Bareboat Skipper course! Yearend Cup is the last race of the year, held in December. 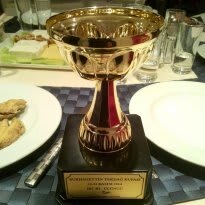 We were happy to participate but even happier when we took home a cup. Burhanettim Tekdag is held in November, kind of like a warm-up race for winter. 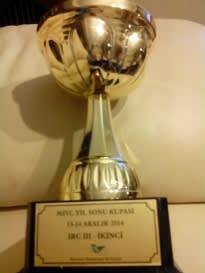 We were happy to participate but even happier when we won a cup. MIRW is one of the biggest racing events in the Aegan Sea. 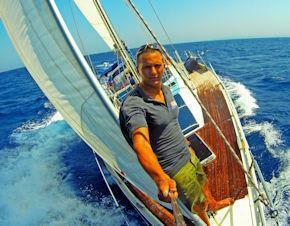 200 yachts and 2000 people share, enjoy and have fun in this event. 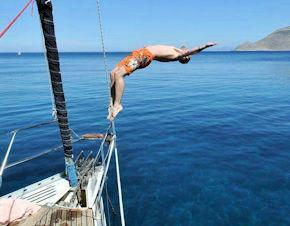 It is also the end of the summer sailing season for Marmaris. We participated with two yachts. 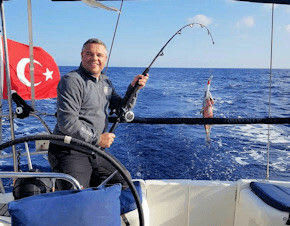 Hisaronu Gulf tour with a Russian group in September. Some students were for 1 week, others for 2 weeks. 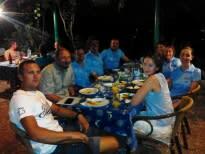 Gocek Tour with a mixed group of students from Russia, Latvia and Kazakhistan in August 2014. Hisaronu Gulf tour with a Turkish group. Some were for 1 week, some for 2 weeks. 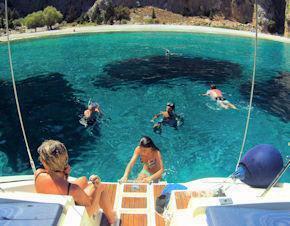 Club trip to the Greek islands in the begining of June 2014. 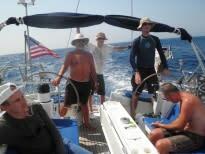 We did a flotilla with two yachts. Two weeks of sailing, visiting historical places and anchoring in beautiful bays. We rented cars and motorcycles, celebrated two birthdays at anchor and had a lot of fun! 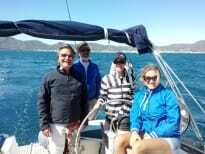 We opened the 2014 sailing season with a Hisaronu Tour. There were old and new friends on this tour. A good time was had by all! 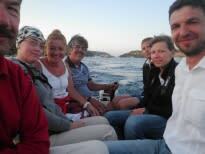 One week tour to Hisaronu Gulf with a German and Turkish group. 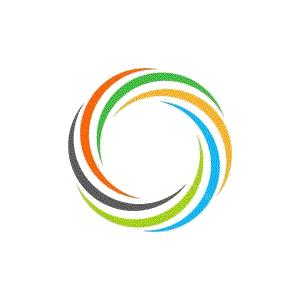 MIRW is one of the biggest racing events in the Aegan Sea. 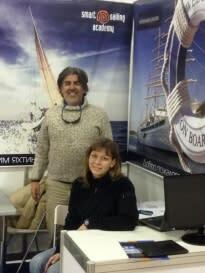 200 yachts and 2000 people share, enjoy and have fun in this event. 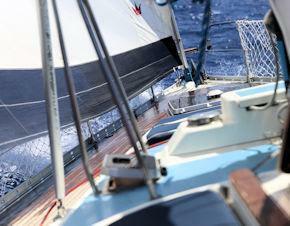 It is also the end of the summer sailing season for Marmaris. Hisaronu Gulf tour with a family from Moscow. 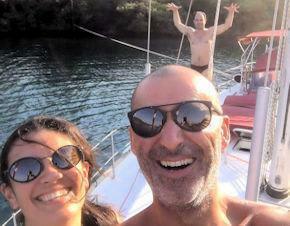 Husband and wife learned how to share repsonsibities on a yacht and celebrated her birthday! 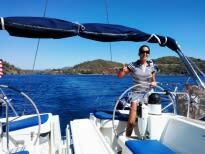 A family from Moscow enjoyed the natural beauty of Gocek and learned how to handle a yacht. 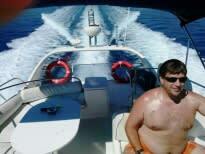 Hisaronu Gulf tour with five friends from Moscow. 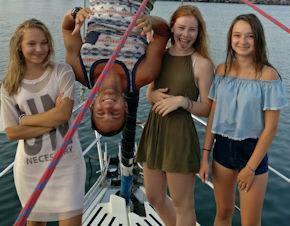 A fun sailing trip! 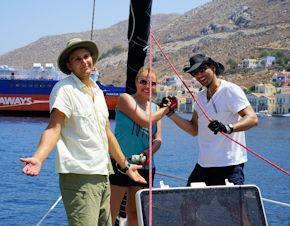 An offshore race between the Greek Islands; overall a fun-filled event! 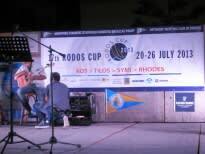 7 Greek Island Tour in July 2013. Our group was mix of Russian and Turkish students. They became friends on the first day and we had a great trip! 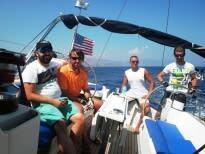 7 Greek Islands tour is very popular amongst our customers. A group of friends from Russia made up most of the students and we had a fantastic trip together! 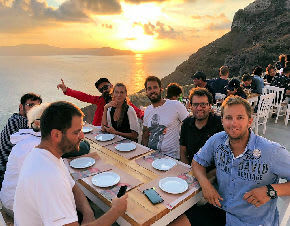 Marmaris-Bodrum-Marmaris tour with five students (1 Canadian and 4 Russians). 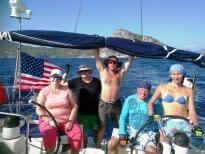 A total of more than 300 nautical miles was sailed! Even we wish that you will never use a liferaft, It is important to be prepared for worst sititutions. In this video, We show how to use liferaft to a group of skippers. Weather in autumn is still lovely if you live in the South Aegean Sea. 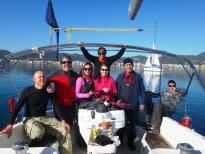 We continue our sailing training courses towards the end of the year. Can you think of a better vacation spot than the romantic islands of the Aegean Sea...? 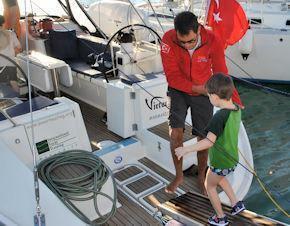 Yachtmaster Courses are continued throughout summer. 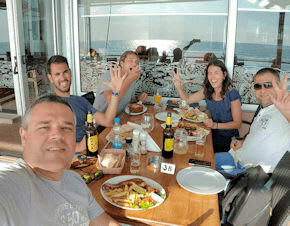 Our students completed the course and are now proud owners of Yachtmaster Coastal licenses.